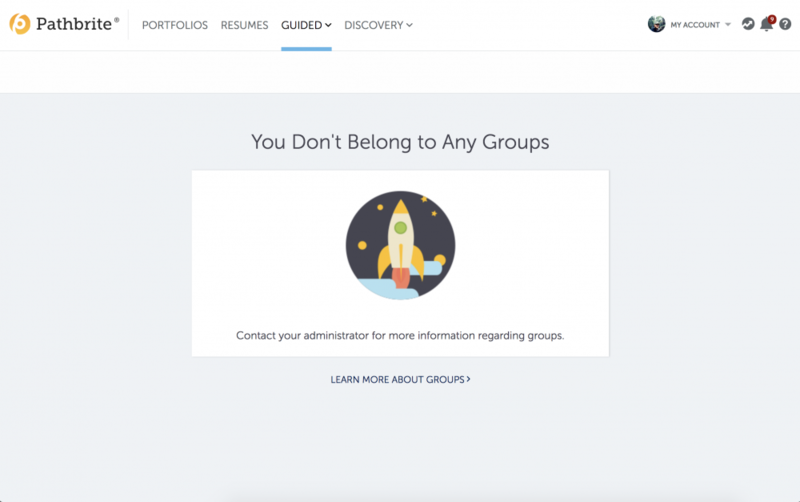 Pathbrite Groups allow students to curate their own portfolios, without the use of a template, like in course or program, and share with all members of their group including the group instructor. 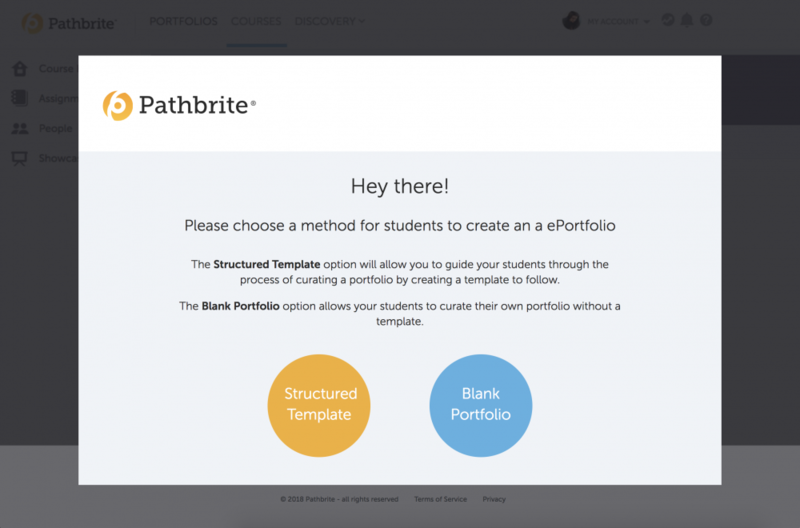 Structured Template: This is the default method and automatically creates a course with a blank template for instructors to guide their students on portfolio creation. Blank Portfolio: This method will create the new group. 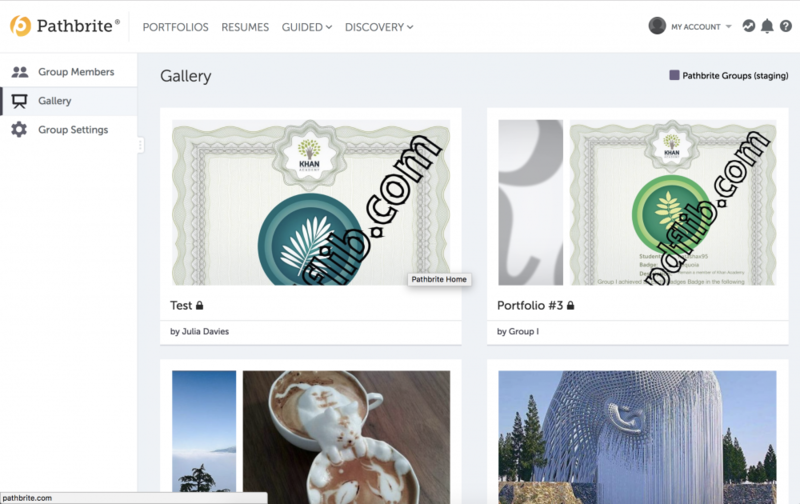 Groups allow users to share portfolios between each other via the new Gallery functionality.